Use rules to tell Order Desk how to split your orders and what to do with them once they're split. When orders are split, the tax, shipping, handling and discounts are split proportionally between the new and original order. This guide will go over the different splitting options and how to set up your rules after they split so the orders end up where they need to go. If you aren't familiar with the Order Desk rule builder, take a few moments to read through the rule builder section of our Getting Started Guides before continuing with this guide. Once you have a basic understanding of what the rule builder does, you can follow the instructions in this guide for properly setting up your split rules. There is a way to split orders using the vendor field in Shopify and the bin picking field in BigCommerce which requires a setup different from the instructions in this guide. For instructions, read the guides on how to split by vendor for Shopify or for BigCommerce. If your Shopify or BigCommerce orders need to be split using another method, continue reading this guide for options. 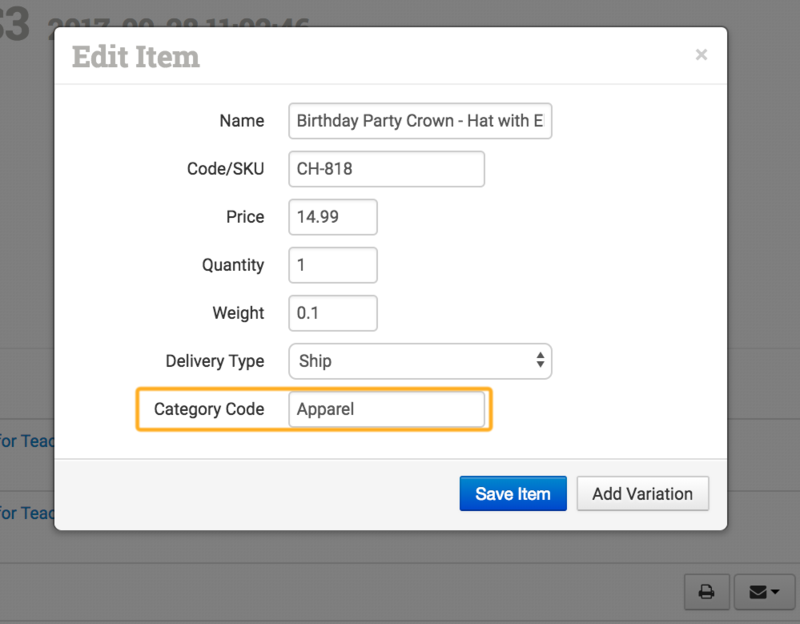 To manually split an order, open the order page and select the item(s) that need to be split out into a new order. Click Split Order. The order will be split into two separate orders based on the items selected. After the split takes place, you will be redirected to the new order. CODE/SKU: split specific SKUs out of orders. ITEM NAME: split specific items out of orders based on their names. 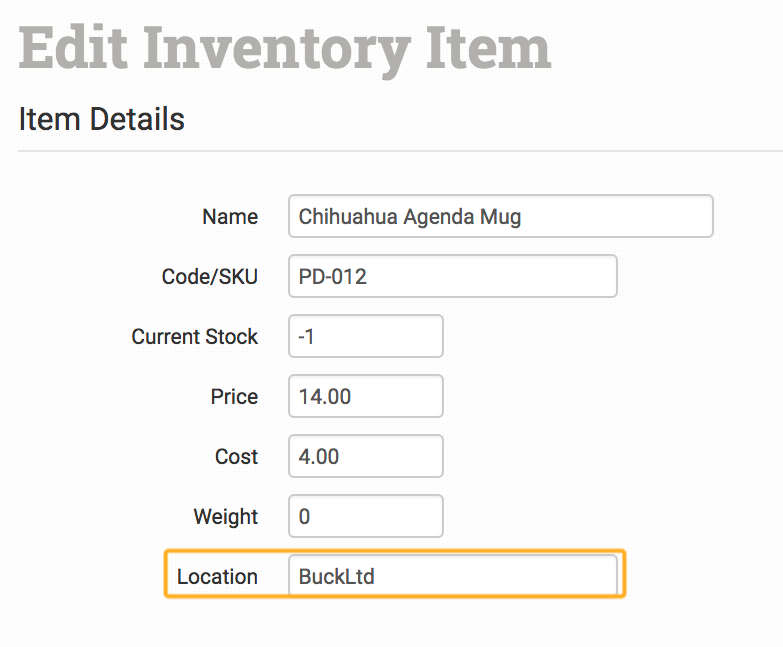 CATEGORY CODE: Category Code is a unique field used for the Foxy integrations allowing you to categorize your items. If you are using Foxy, you can use it to split your items into separate orders. Shopify vendors will also be placed in this field. DELIVERY TYPE: Delivery Type is a unique field for FoxyCart shops. If you set the Delivery Type on your items in FoxyCart, you can split them using this method. VARIATION: split items with specific variations out of orders. ITEM METADATA: split items with specific metadata tags out of orders. This is the most versatile, fully customizable method for splitting orders. ALL: split every item into a new order. This is where you tell the rule builder the method of splitting to use. This must be formatted properly, so follow the instructions in the next section. While setting up your rules, be mindful of capitalization, spacing and punctuation. Names and values must be an exact match to what is on your items for the split rules to work. The only exception to this is described below in the Special Features: Split Method Wildcard section. Do not add any additional actions to a rule that splits orders. Use a second rule for when Order is Split to tell Order Desk what actions to take on a split order. This way the split action has a chance to complete before any additional actions start running. This method works if you have a small number of product SKUs to split out of orders. If you have more than a dozen or so SKUs you want to split out, another split method will be more efficient. You can also add multiple SKUs by separating them with a comma: sku1,sku2,sku3 and so on. This will split these particular SKUs, if they come in with a larger order, into a single order. This will not create separate orders for each SKU. 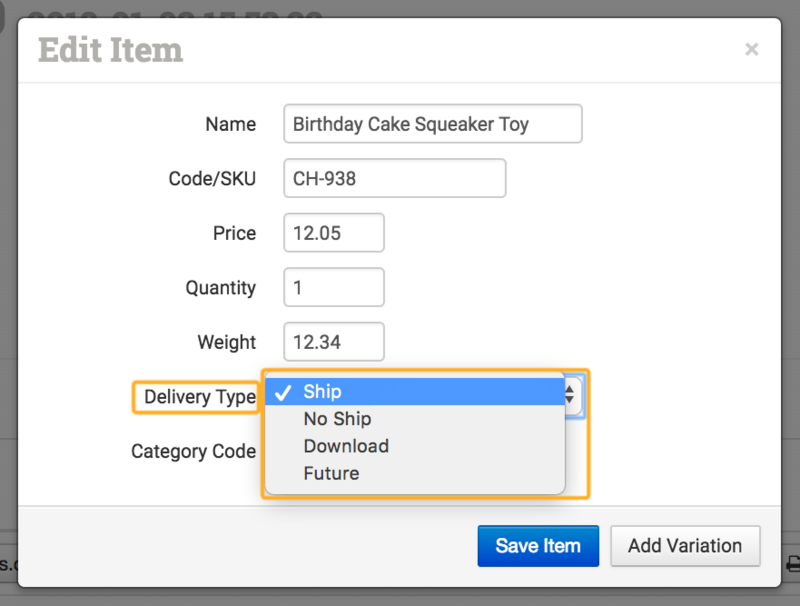 Delivery type values are: Ship, No Ship, Download and Future. Once split, you can set up rules to send the newly separated orders to each separate vendor, integration or fulfillment service, which we'll go over in the next section. If you need to split all vendor/location names into their own orders, skip down to the Special Features: Split All Items of Specific Type section below for instructions on setting up one rule to split all orders rather than one rule per vendor/location. Split orders cannot be merged back together, so be certain this is what you intend to do before creating a rule to split all items into separate orders. If you also want to split multiple quantities of a single product into separate orders you will first need to use a rule with the action Convert Item Quantities to Separate Items. Once converted, you can run an ALL split rule on your orders. This will split any items with mug in the name. Capitalization does not matter when using the wildcard. This works for every method type. After orders have been split, you can tell Order Desk what you want to happen to them, such as submitting them for fulfillment, moving them to a specific folder, emailing someone about the order, tagging the order a certain color, etc. To do this, you will need to set up a new rule. = Must be an exact match for a single value. Case and space sensitive. "If it equals this value." in The exact match must be in a list of values, separated by commas. "If it's in this list of values." like Does not need to be an exact match and is not case sensitive. "If it's like this value." To finish your rule, add the actions you want applied to a split order. Actions include Submit to Integration, Send Email to Customer and Change Folder, among others.